“You were born with your spiri tuality… Your spiritual self was born in a dream and when you dream, you are going home.” These are two powerful sentences and two transforming concepts from Thomas Moore’s new book, A Religion of One’s Own (2014). In this book he offers the idea that we do not need to go chasing after what we already have. We just need to open up to it by scraping the junk of our ego-selves off the cluttered desks of our mind (my image) and behold it, behold us as we really are. As I wrote some 35 plus years ago as the title of a meditation manual, Everything Worth Being You Already Are. However, back then this was more a platitude than a reality for me, more a hope than an actuality. Like everything else I had to grow into it. At that time of my life I was learning new things about my profession and about myself and tended to follow the teachers I found at least until I felt that I had learned what I needed from them and moved on. I was absorbing new ideas at an incredible rate but had as yet to fully understand or integrate them into my life. Basically I hadn’t made the ideas my own, probably because they hadn’t come from or through me. Like Joseph and his Amazing Technicolor Dream Coat the Andrew Lloyd Webber 1970’s musical about Joseph in the Book of Genesis I was just tacking on beautiful patches to an outer garment given to me and reflecting nothing of the inner self. Over time with the power of the soul to express itself through and in spite of me I began to turn inward only to find that all the teachings had been inside all along even though I had not recognized them as such. Sometimes I still don’t look within for that wisdom that’s always there, that’s usually because I can get stuck in my ego-self and want what I want, when I want it, and damned the consequences. But it’s there urging me to transcend the self-serving ego and helps me to live beyond the pseudo-myth of my ego-self and get in touch with my real self that I now know is there anytime I’m open enough to recognize it. It’s always a struggle because deep down this limitless power of creativity is quiet and subtle in nature and often gets lost in the noise of the everyday when I’m not paying attention. Sorry I’ve been off my feed lately, but you see I’ve been fighting dragons for the last few days. Dragons, that’s what I call the depression that sometimes charges from its cave and overwhelms me. He takes on a number of forms, right now he looks like the giant “I’m no good” dragon where everything is better than, smarter than, more creative than. What’s in a dream? They are the alchemist’s crucible for rendering the common into the divine. In our waking life we are used to objects retaining their identity through time and space. This is not so at the subatomic level or within our dreams. Particles can change into other particles or into two particles or morph into something altogether different or merge their identities. At this level there seem to be any number of realities and the different realities seem to interfere with each other on occasion. What is this that keeps one reality following one set of physical rules while another allows for anything to happen? What is it that exists in one realm of reality and not the other? I posit that it is something called ego-body consciousness. In the waking world this consciousness creates a particular point-of-view but in the sleeping world where the ego-body consciousness has been turned off there is what I call dream-body consciousness that is unrestricted and allows for all points-of-view not unlike the superpositionality of all particles at the subatomic level that don’t become fixed until focused upon. Is it possible that it is our conscious individual and collective ego-self that determines reality while the unconscious self allows for any reality? There doesn’t seem to be any restrictions of time or space or form in the unconscious mind. Basically it’s ‘anything goes’ i.e. anything and everything is possible because the restrictions on possibility are lifted thus allowing us the freedom to explore what in the waking world are “impossible” possibilities. Is it any wonder that dreams have opened us to any number of new discoveries and new ways of looking at things? Our dreams have connected us with the divine and the unimaginable; from the common to the sublime they problem solve and restructure perspective, and help us to see who and what we really are. Our dreams not only help us to heal and discover the inner workings of ourselves but the mechanisms of reality itself. Dreams are a way of pulling back the veil to see what lies behind. There are people who want you to believe that there is nothing beyond the veil, in fact they argue that there is no veil. They are like the Wizard of Oz who said to Dorothy “Pay no attention to the man behind the curtain.” Most folks don’t know that there is an unconscious mind or that this unconscious world modifies their experience of the conscious world. 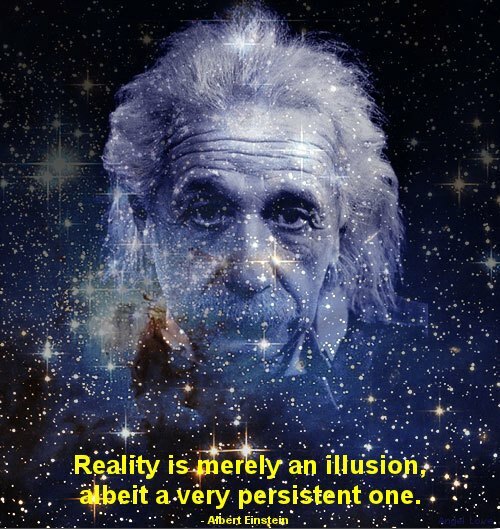 Most folks can only imagine that the world they see is the only real world. Most don’t know that the world they see is but an illusion, a projection of their biases, their conditioning, and the archetypal material of their subconscious. So what’s in a dream? The sleeping mind pulls aside the curtain and reveals the hidden world behind– the machinery behind the machinery if you will. I had a dream recently where I seemed to be everywhere at once. The dream was very disconcerting I’d no sooner noticed where I was than I’d be somewhere else, then nowhere and yet everywhere. This reminded me of the quantum physics concept of “nonlocality”. In the dream it was only when I noticed myself as being somewhere that the location would change. In the theory of nonlocality everything is potential and it’s only when we make an observation that the field of everywhere and everywhen collapses into a single place. It’s as though reality is what we make of it. It’s only when our ego-selves intervene that everything solidifies into a something. In dreams this nonlocal essence is often imaged as an ocean or great sea while the waves represent the local or personal point-of-view. Carl Jung, the early to mid-century Swiss Psychiatrist thought of this vast sea as the unconscious mind where the universal archetypes of the psyche reside– that there is a shared information that crosses all cultures and across all time. Everyone and everything is part of a nonlocal intelligence i.e. an unbounded potential from which we can draw if we learn how. Dreams are but the waves of this vast ocean and present us with information that the conscious mind normally has no access to. They are an access-point or doorway into the universal soul. In the book The Dragon’s Treasure (Cole, 2009*) a chapter was devoted to the skill of intentionality. My explanation of the power of intention will be drawn from an update on this chapter. On a societal level the country claims to hold children as a high priority but where this intention is thwarted by how children are frequently treated. For example, “In a society where money and having things is more important than the freedom to express one’s self in a healthy, joyous, and balanced way we see starving children (nearly 25% of America’s children are nutritionally compromised), children with minimal or no health insurance, schools that have become warehouses, children with no voice of their own, abused children (up to 33% of children have experienced some level of physical or sexual abuse), suicidal children, suppressed children, and indifferent children. The first action regarding your “real” intention is to become clear about what ones “real” or meta-intention is. Because this meta-intention comes only through the ego-self it is always suspect and it’s only the intention that is connected to ones spiritual source without the influence of either the conscious or unconscious ego that has any real magical power. To intend anything is ultimately not to “do” anything but to connect to ones “source”. One of the most effective ways to manifest the magic of intention might follow with the following cleansing formula: D+W+A leads to S that then allows for I where Desire is added to Will and then added to Action that “leads to” Intention being manifest. Make sure that they are aligned with each other. For example, do you have more than one desire regarding the issue? Conflicting or competing desires will render an intention unfulfilled. What you thought you wanted is not what you get i.e. the strongest desire will frequently win out. And remember every “choice”, conscious or unconscious, creates a different universe, a different reality. So how does one get in touch with their unconscious and conflicting desires, after all, they’re unconscious and therefor unknown? Some of the so-called ‘unconscious’ desires are not that unconscious. Dreams of course come from the unconscious and once decoded can provide a wealth of information regarding ones conflicting desires, but there’s also a waking exercise that is often effective in targeting ones hidden intentions and motivations. With a friend state the following, “I want____________________.” (describe the desire fully and clearly) then state the opposite, “I don’t want________________________.” (using the same desire). More often than not the real desire will make itself known after you’ve done this process a few times, especially if you also make yourself aware of your feelings while you make the statements. After this approach you might then ask yourself why you don’t seem to want what you thought you wanted? Do this by asking yourself what would happen if you got what you really wanted and what would happen if you didn’t get it? These questions can help you get some insight about your real desires. For those really intractable and unconscious desires, following and interpreting your dreams can be especially helpful given that dreams come from the unedited unconscious mind that is they don’t come through the conscious ego-self that tends to bias, confuse, and obfuscate ones real intentions. When satisfied that you are in full agreement with your desires and are committed to the stated result the “will” will follow and then you can study what actions will most likely produce the desired result. This may of course require fine-tuning as you go along– don’t get too rigid with the action part. But what about the S in the above formula? That’s the secret to all power. It refers to the Source of all being. Without it’s acknowledgment all we have is the ego trying to make something happen, the “I’m in control and I’m going to make something happen no matter what!” aspect of the ego. Bottom line, intention won’t happen while the ego is involved. Intention doesn’t come through the ego. So where does intention come from? I t’s funny what my dreams conjure and carry into the waking world. Since a young age I ‘ve thought that this world was a little like a state run asylum. As I grew older this thought remained but had evolved so that I now think of it as an asylum for disturbed souls. But what if as my dream of last night suggested it is where the damaged souls of the anima universum or cosmic soul go to heal? In the arcana of the soul there are layers of reality the first layer of which is called “ego” the name for the “I” e.g. that identifies as you, me, us. Collectively we are the “nos” or the “we”, then comes “anima” the “soul” or the animating force of our existence. Collectively these souls make up the soul of the world that which has been labeled the “anima mundi”. Greater still is the collection of souls or the “host” if you will, of the “anima universum” or the cosmic soul i.e. the creator. 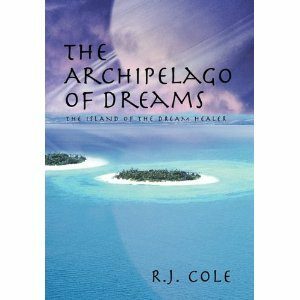 A number of years ago I wrote a story titled TheArchipelago of dreams: The Island of the Dream Healer (2010). As usual what I do with the development of a story is to let it evolve from whatever kernel of an idea that strikes me and trust that the story will come out as a projection from my as yet unconscious self seeking to be expressed. I thought at the time that this would be a good medium for expressing the nascent rumbling in my own soul eager to have its say. As I write its sequel the rumbling has started again and has suggested that the “Island” of the original story is actually Earth itself and that it is here that the damaged souls come to be healed. If so, this would explain why it all looks so crazy. Our souls may be here because they have become dysfunctional and disconnected from the whole and it is here through unfettered self-expression that they learn to reconnect. I wonder if it is here that the healing regimen outlined in The Archipelago of Dreams is what is necessary for the soul to return to the whole? This begs the question of whether some damaged souls might have to go through multiple lives in order to be healed and reconnected. What happens if some souls remain disconnected forever is that the “eternal hell” of Dante? Does Donald Trump continue his mindless and self-serving ranting across a multiverse of lives for all eternity? Perhaps our lives here are but a dream imagined into existence through the outward expression of the so-called big bang turning the One into a diaspora of souls all seeking to reunite. Well here we go again! The site is an extension of two previous blogs entitled The Dream Dragon and its darker cousin The Somnium Meum Libro. The Dream Dragon blog provided interpreting techniques, information on human behavior, meditation, psychology and general dream meanings. The Somnium Meum blog looked at our darker aspects including the usefulness of our nightmares. The aspects of both blogs will be morphed into this new presentation, The Book of Dreams. There is also a means of sending your dreams to me through the Contact page. Dreams will be interpreted as they come into the queue. Please have fun with this. My writings are meant to inform regarding current research, philosophy, and practical application of dream meanings. I will also be sharing personal insights. If you are working with a therapist, my interpretations or insights should not be used as part of any therapeutic program without your consulting with the therapist and sharing them. They also should not be used in lieu of any therapy that your physician or counselor might recommend. Because of the limits on email interactions my interpretations can only be superficial in nature and should only be used as a guide towards further exploration. Please note that the interpretation(s), and concepts that I provide are not the ultimate meaning of the dream or the varied aspects of the human psyche. Every interpretation or insight is but a hypothesis and an attempt to read what is often an enigmatic narrative. You the dreamer will know what meaning(s) would be your own truth by what you feel in your heart. If it resonates as true, then go with it; otherwise discard it in part, or in its entirety. I can only offer what the dream would mean for me if it were mine.